Home ownership comes with one convenient thing; the garage. The garage is actually extra space which if used wisely can add a lot of value to the home. Garages are used to protect the cars and for many people; they are even used as offices. Let us look at a few uses of a garage. 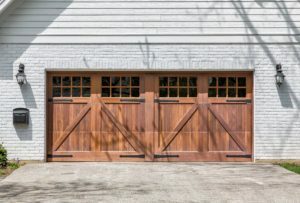 One of the uses of a garage is the old-fashioned protection for your vehicles. When vehicles are inside the garage, they are protected from vandalism, weather elements and even theft. This become even more so the more expensive a vehicle is. We put the customer first! Our goal is to educate customers about their garage door and what to expect from the work we provide. We aim to give the most accurate price quote possible before any repairs are started and reliable time-frames for how long it will take. Another way you can use your garage is for storage. Sometimes the garage is large enough to allow one or two cars and then leave some space. This space can be used to store other clutter around the house such as the lawn mower, construction tools, cleaning material and even boxes containing heavy material that cannot be left in the house.